Home > Aquarium Supplies > Water Testing > API pH Test Strips 25 ea plastic tube w/snap lid & moisture resistant lining. 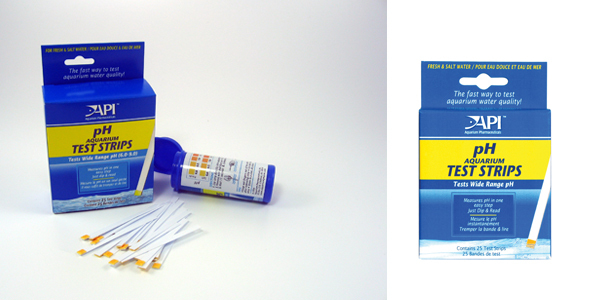 API pH test strips are the fastest and easiest way to test pH. No vials, no waiting. Just dip the test strip in the water and get your reading instantly. This is a test that is the most important test for the health of your fish. The 25 test strips are protected by the moisture resistant plastic tube with snap-on lid insuring no damage and accurate readings from the strips.